Bishop Daniel [Brum] was born in 1954 the eldest of three children born to Orville Antonio and Marjory Brum. He was raised in Riverdale, CA—a community predominantly comprised of Portuguese-American families—where he graduated from high school in 1973. Raised in the Roman Catholic tradition, he enrolled at Saint Patrick’s College Seminary, Mountain View, CA, where, during his freshman year, he first encountered the history of the Orthodox Church and frequently attended services at Saint Nicholas Church, Saratoga, CA, at that time under the rectorate of Mitered Archpriest George Benigsen, who welcomed him and encouraged him to explore Orthodox Christianity further. In the early 1970s, he began reading the Church Fathers and tried to integrate what he was learning of Orthodoxy into his regular courses of study. He received a BA in Humanities, with specialization in history, philosophy and English literature, from Saint Patrick’s College Seminary in 1977, after which he entered Saint Patrick’s Seminary, Menlo Park, CA, where he continued the study of Church history. In 1981, he received his Masters of Divinity degree and was ordained to the Roman Catholic priesthood. After ordination, he served in a variety of capacities and was especially involved in the Portuguese-American community. He also served as diocesan Director of Vocations and as editor of the Portuguese-language page of the diocesan newspaper. In 1992, he was asked by his bishop to pursue further studies and, in 1995, he completed the academic work and received a degree in canon law (JCL) from the Catholic University of America, Washington, DC. His relationship with Orthodoxy continued as he continued research within the context of the Orthodox Church councils. During this time, he seriously contemplated conversion to Orthodox Christianity—a difficult decision given his background and ties. Ultimately, it was his study of canon law that impelled him to respond to the call to embrace Orthodox Christianity. After completing his course of studies in canon law, he returned to his diocese and was assigned to the Diocesan Tribunal, as well as to a small mission parish in a rural setting. During this period, his feelings and perceptions about Catholicism, based upon years of personal experience and reinforced through informal and formal study, were confirmed, while his growing love and appreciation for the Orthodox Church were increasingly confirmed and strengthened. He petitioned to be received into the Orthodox Church in America in 1997 and was vested as an Orthodox priest by His Grace, Bishop Tikhon of San Francisco and the West at the Monastery of Saint John of Shanghai and San Francisco on the Saturday of the Praises of the Theotokos the same year, after which he served briefly at Saint Nicholas Church, Saratoga, CA before his assignment to Saint Paul the Apostle Church, Las Vegas, NV. In August 1998, he was transferred to the omophorion of His Eminence, Archbishop Peter and the Diocese of New York and New Jersey and assigned Rector of Saint Gregory Palamas Mission, Flemington, NJ, where he gained a new appreciation for the hard work and special challenges faced by mission priests. In 2000, he was appointed Secretary to His Beatitude, Metropolitan Theodosius and, later, to His Beatitude, Metropolitan Herman. He also served on several Church committees and commissions, including the Canons and Statute Commission, the Statute Revision Task Force, the Legal Advisory Board, and the Canonization Commission, and in numerous other capacities. In December 2005, he expressed his desire to return to parish ministry and, in July of the following year, he was transferred to the Diocese of San Francisco and the West and appointed Rector of Saints Peter and Paul Church, Phoenix, AZ, which he continues to serve. In October 2006, he was elected as a member of the Diocesan Council. 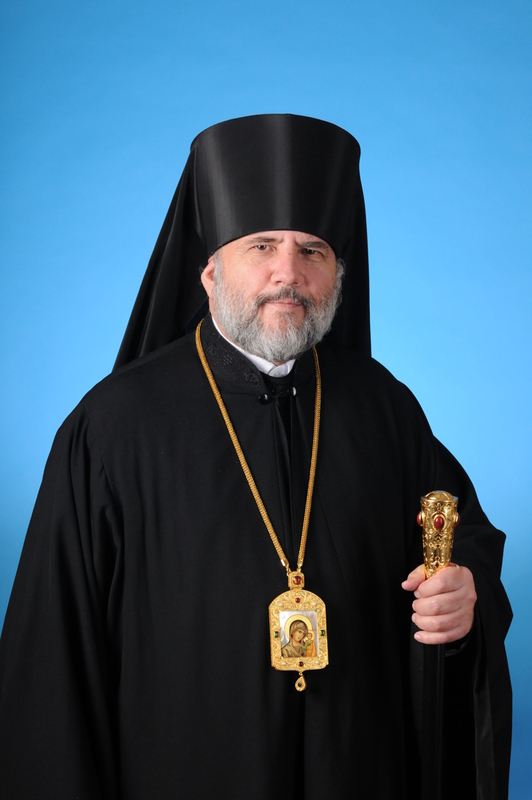 On October 21, 2014, the Holy Synod elected him to serve as auxiliary to His Eminence, Archbishop Benjamin of San Francisco and the West as Bishop of Santa Rosa, CA. He was consecrated to the episcopacy on January 24, 2015.